Wow, two months...not entirely sure how that happened. It still might be dormant except for a couple of incidents in the last week or so. A couple of very nice emails from people, not asking what's happened to the blog, but just saying how much they like it. Like most bloggers, ego plays a role and nice comments (this isn't a fishing expedition for compliments, by the way) are always a happy treat. The other one was a touch weird. I was at a course recently and the professor decided that the way for everyone to get to know each other was for us to interview one of our classmate. Somehow the guy interviewing me recognized me from the blog and then, when he was "introducing" me to the class, mentioned the blog. 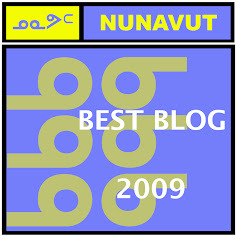 Half the class recognized the blog and the Moving to Iqaluit FAQ. 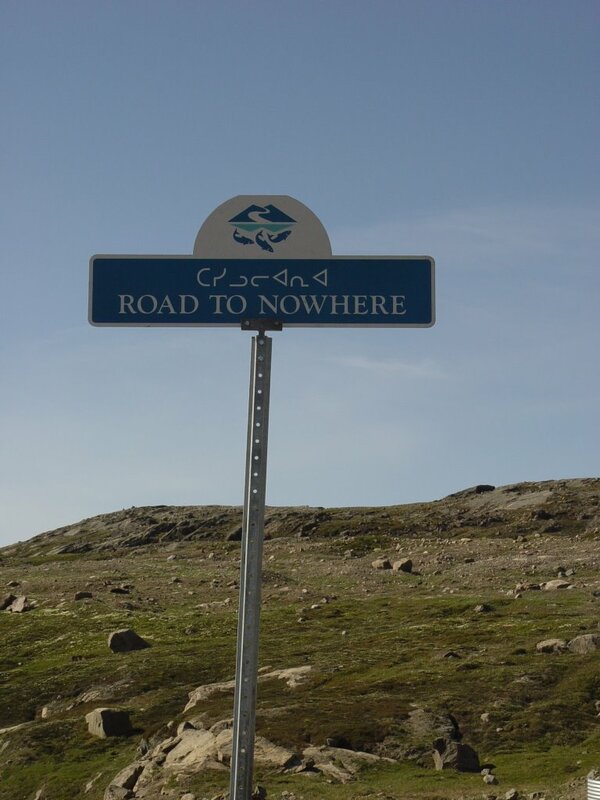 A couple told me how valuable it was when they were in the process of moving up here. So that was kind of cool. I tend to forget just how influential that blog post is. Although, curiously, I noticed this website is now up. Thankfully it doesn't seem to have robbed any of my content from this blog, so that's nice. I also remember that I was going to update that post and I haven't. I have a busy next couple of weeks, but I'll try and update it before the end of October. So, what else is going on. 1. 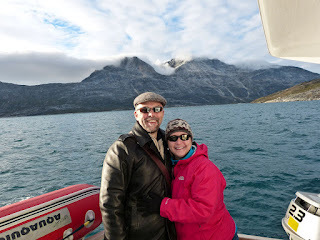 When last we checked in, I was doing a recap of our European adventures. However, shortly after I started that I was speaking with an editor who wants to serialize our trip into a feature series. It'll run next summer. Because of that, and that I'm being paid for it, it doesn't seem fair to put it up here for free. My apologies. If the stories make it online, I'll link to them as they run. 2. 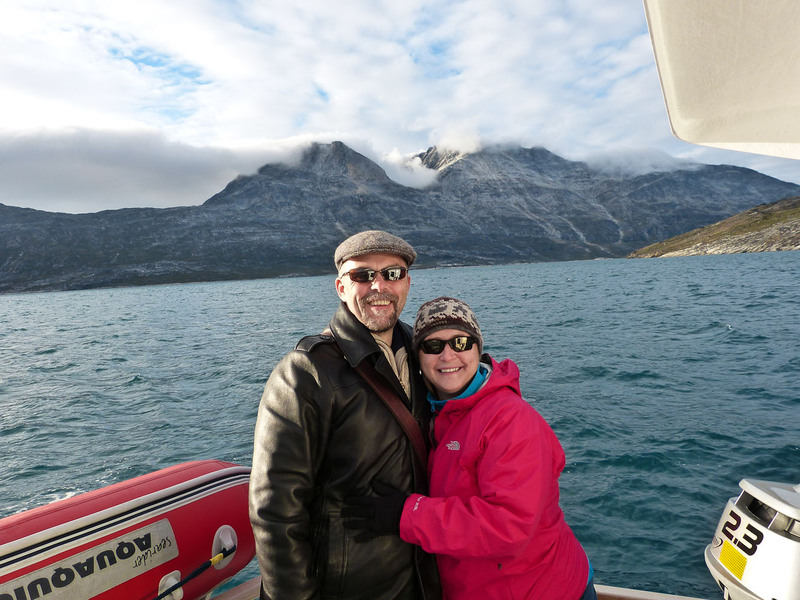 Cathy and I also went to Greenland over Labour Day Weekend. I'm afraid it falls under the category of "I'm being paid to write about it", so other than it was an amazing experience and I'm really happy we finally got to make it to Greenland after pining to do the trip for years, you'll have to wait for more details. 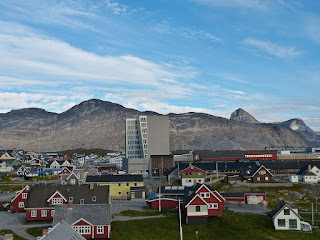 But here's a couple of photos from Nuuk, Greenland. Just for a taste. 3. I mentioned a few months back I was trying to lose weight. Well, that continues along quite nicely. I'm now down 55 pounds in about 7.5 months. That puts me about 25 pounds short of my ultimate goal. Considering I was trying to lose all that weight over a two year period, I'm extraordinarily happy with how I'm doing. Even if I do grumble when I have a week like last week where I put on 0.8 pounds. And because I'm very proud of her, Cathy is down more than 40 pounds herself. So between the two of us we've lost the equivalent of a 12-year-old. The only downside to the weight loss is the amazing amount of clothes we're giving to good will. Stuff we bought a year ago now looks like we're wearing tents. We dropped a fortune at Tilly the summer of 2011 for travel clothes...none of it fits anymore. And yes, it means we get to go shopping for new, smaller clothes. But I guess there's enough of my father in me, that winces at spending money, to give me pause. 4. Curling is coming up soon, so some of you might be subjected to that. We'll see how much I'm involved in it this year. Been feeling a bit burned out on it. Plus I've been really focussing on the gym. I have to give up a night at the gym to curl. And while it's a lovely sport and more exercise than you might think, it's not exactly the equivalent of one of my workouts. So we'll see. Although I am curious to see what impact the weight loss has on my delivery. 4. Quite enjoying my job these days, which is useful. I shan't say more about that as A. I have a longstanding rule about talking about work and B. I know for a fact my two immediate supervisors have read this blog. So there's that. 5. Next up is another trip - I'm off to New York next weekend for a week. Just me. Cathy has to work and she, bizarrely, hates New York. A few days of sightseeing and then four days of getting my geek on at the New York Comic Con. It is hilarious/scary how much I've been organizing my plan of attack for that con (there are certain artists I need to hit up for artwork before they get booked up for the weekend). I'll be sure to post up lots of pics of people wearing weird costumes when I come back. And, as always, if you have any favourite things you've done in the past in New York, feel free to pass them along in the comments section. I only have three days and at least one of them is going to be spent mostly in MOMA, but I always like hearing things to do, or places to eat, that I might not have thought about. So there you are...mostly caught up. And once again, I'll try and post more often than every couple of months. I actually liked writing this, and I haven't been doing nearly enough writing lately. Let's see if I can fix that.